CAPE CANAVERAL, Fla. — On a mission to search for planets outside of the Solar System, NASA’s Transiting Exoplanet Survey Satellite (TESS) was launched into space atop a Falcon 9 rocket on the first leg of the spacecraft’s multi-month journey to its final orbit high above Earth. 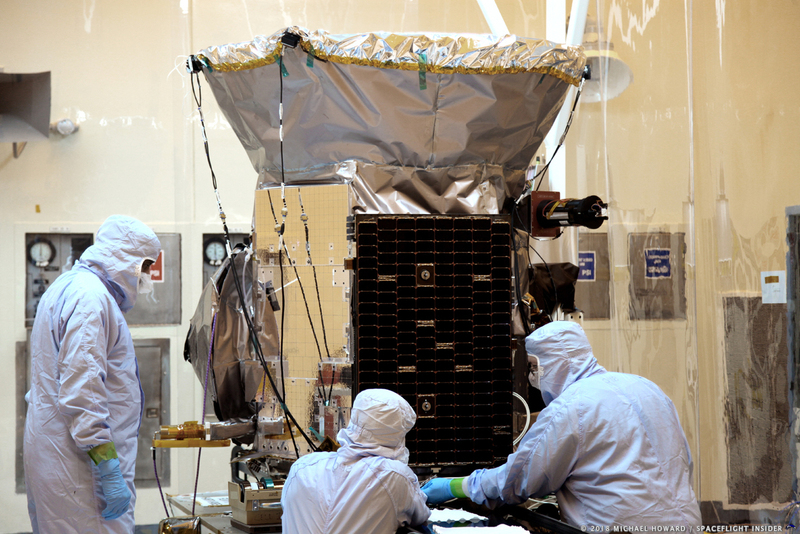 TESS is a 772-pound (350-kilogram) satellite that has a primary goal of looking for exoplanets. The washing-machine-sized spacecraft measures some 4.9 feet (1.5 meters) tall and is 3.9 feet (1.2 meters) wide. It has two solar panels that, once deployed, have a wingspan of about 12.8 feet (3.9 meters). To find these exoplanets, TESS sports four wide-angle cameras and will ultimately orbit Earth in a 2:1 lunar resonance orbit, meaning for every time the Moon orbits Earth once, TESS will orbit Earth twice. Liftoff of the Falcon 9 with TESS took place at 6:51 p.m. EDT (22:51 GMT) April 18, 2018, from Cape Canaveral Air Force Station’s Space Launch Complex 40 (SLC-40). This was two days later than planned as the original launch date was called off to give SpaceX time to conduct additional analysis on its guidance, navigation and control systems. The Air Force’s 45th Space Wing, which manages the Eastern Range, predicted a greater than 90 percent chance of acceptable weather conditions for the April 18 launch date. It was a quiet countdown with fueling operations for the 230-foot (70-meter) Falcon 9 starting some 70 minutes before liftoff. First was the loading of rocket grade kerosene into both stages. Then some 35 minutes later, liquid oxygen began flowing into the two stages’ tanks. About seven minutes before liftoff, the nine first stage Merlin 1D engines began chilling before launch to prepare them for the super-cold liquid oxygen that flows through the engine feed lines. One minute before launch, the flight computer was commanded to begin final pre-launch checks and the propellant tanks pressurized to flight pressures. Fifteen seconds later, the Falcon 9 launch director verified all was indeed go for launch. Three seconds before rising skyward, the nine first stage Merlin 1D engines ignited and throttled to full power. Only when the computer verified the engines were healthy did it command the launch mount to let go of the Falcon 9, allowing it to soar toward the black. Liftoff was quick. In about seven seconds, the vehicle cleared the four lightning towers at SLC-40. 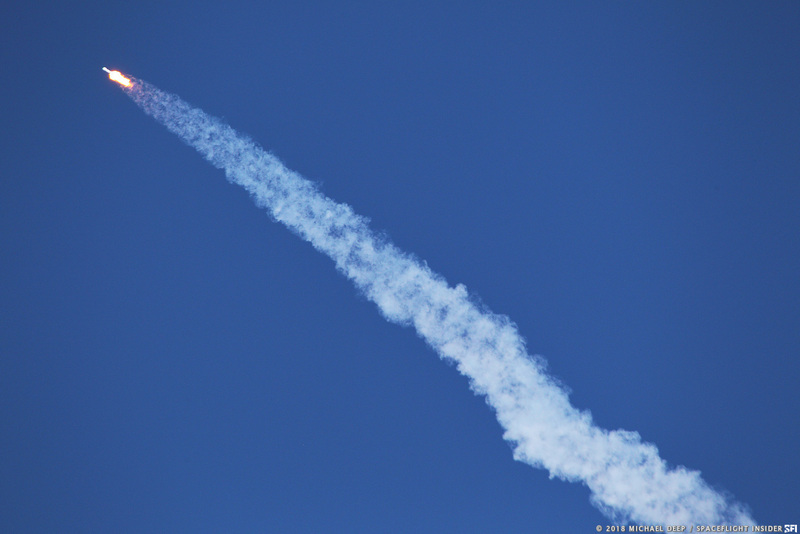 Just over a minute later, the rocket was passing the speed of sound and reaching the moment of peak mechanical stress. The latter is known as Max Q, and occurred at a mission-elapsed-time of 1 minute, 16 seconds. Straight as an arrow, the Falcon 9 with its tiny payload continued to climb for about 2 minutes, 29 seconds before its first stage engines cut off as planned. Just three seconds later, it separated from the second stage. After stage separation, the second stage’s lone Merlin vacuum-optimized engine ignited to continue propelling TESS toward the target orbit. Then the payload fairing protecting the spacecraft for the first several minutes of flight was jettisoned as planned some 3 minutes, 5 seconds after launch. While the second stage was on its way up, the first stage, a Block 4 variant, continued on a parabolic trajectory and began preparations for an autonomous landing on SpaceX’s drone ship Of Course I Still Love You positioned downrange in the Atlantic Ocean. After using its thrusters to point its engines retrograde in the boosters direction of travel, the stages four aluminum grid fins deployed. These would be used to steer the vehicle as it got lower into the atmosphere. Six minutes, 29 seconds into its flight, the first stage re-lit three of its engines to perform an entry burn. This cushioned the vehicles reentry into Earth’s atmosphere and helped fine-tune its trajectory toward the drone ship. Then at 8 minutes, 20 seconds after leaving SLC-40, the stage successfully landed on the drone ship using a final landing burn. This was the 13th successful drone ship landing and the 24th successful booster recovery overall, including the two Falcon Heavy side-cores in February 2018. In fact, since SpaceX’s first successful landing in December 2015, the company has failed in landing a first stage core only four times, including the failed landing of the Falcon Heavy core in February 2018. Meanwhile in space, the primary mission of delivering TESS to orbit continued nominally. At 8 minutes, 17 seconds—around when the first stage landed on the drone ship—the second stage’s first burn cut off as planned. It and TESS were now in a parking orbit. After a coasting in low-Earth orbit for some 35 minutes, the second stage ignited its engine again for just under a minute to place the spacecraft in its initial elliptical target orbit that had a high point of 170,000 miles (273,000 kilometer). Five minutes later, TESS was deployed. This was followed shortly thereafter by the deployment of its two solar panels. Over the next two months, TESS will perform several of its own burns using its onboard propulsion system to raise the high point of its orbit to get close enough to the Moon for a gravity assist. This flyby of the Moon will change both the high and low point of the spacecraft’s orbit, as well as its inclination relative to Earth’s equator. After several more burns, TESS will be in a special 2:1 lunar resonance orbit of roughly 67,000 by 233,000 miles (108,000 by 375,000 kilometers) inclined 37 degrees. 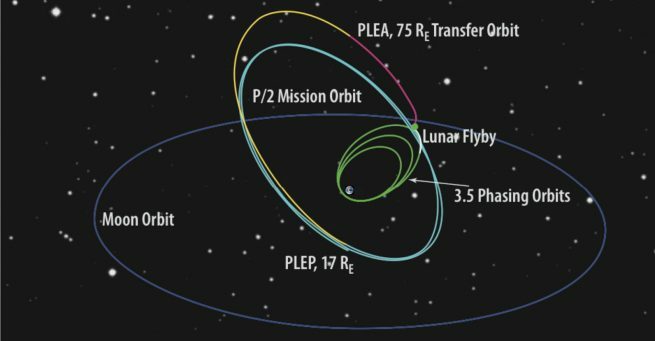 NASA expects this 13.7-day orbit to remain stable for several decades with very little interference from the Moon. Once in its science orbit, TESS will begin a two-year mission to look for exoplanets transiting across the disc of their respective parent stars. The spacecraft is expected to scan the sky to look for both small rocky planets and large gas giants, as well as everything in between, around some 200,000 stars within about 300 light-years from Earth. According to NASA, scientists divided the sky into 26 sectors for TESS to survey. Using its cameras, the spacecraft will map 13 sectors in the Southern Hemisphere during its first year of observation and 13 in the Northern Hemisphere in its second year. Ultimately, the planet-hunting observatory will survey some 85 percent of the sky. Today’s Falcon 9 launch was the third time NASA utilized the rocket for a mission other than an International Space Station cargo run. It was SpaceX’s eighth launch of 2018 and the fifth Falcon 9 to launch from Florida this year. 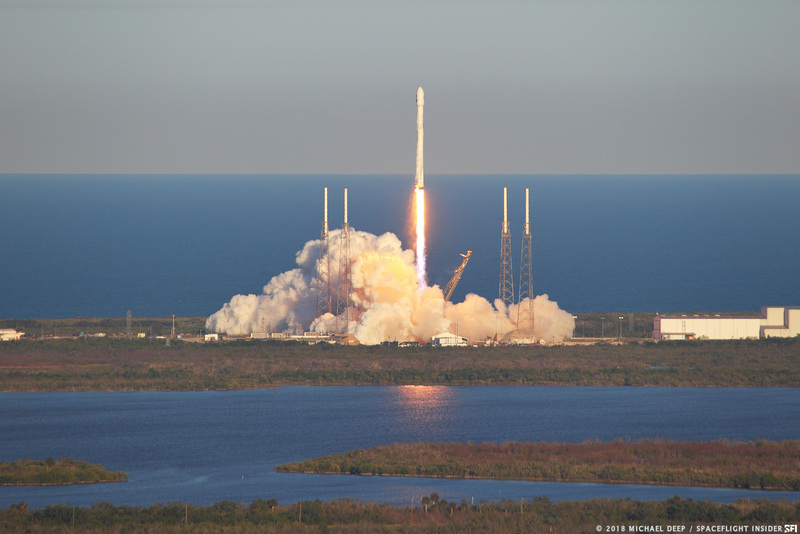 SpaceX’s next flight could be the Bangladeshi-owned Bangabandhu-1 communications satellite. That launch is expected to take place no earlier than May 4, 2018, from Kennedy Space Center’s Launch Complex 39A. It will also be the first flight of the Block 5 variant of the Falcon 9 rocket. Good article, but does your device have an apostrophe that you could throw around where appropriate?